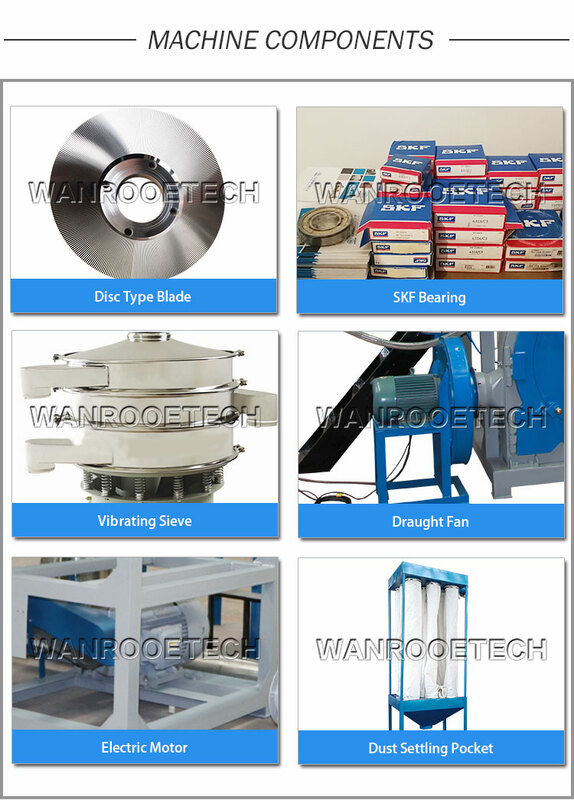 WANROOETECH is pleased to introduce itself as a leading manufacturing unit engaged in the business of Metal Powder Coating pulveriser. The range of pulveriser is available from 30 kgs/hr to 800 kgs/hr. For different application, where ever a powder product is required. The Metal Powder Coating usually asked the powder size about: 40-60mesh, the plastic powder can coat on the surface of the metal pipe outside or inner side, which can make metal pipe with the features of anti- corrosion, and this plastic coating metal pipe are mostly used in some Chemical Industrial. Of course, except, the powder coating, this PNMF series pulverizer also can be used in Plastics Pulverizing Including PVC Recycling, Rotational Molding, Compounding and Master batching, and suitable for the material of LDPE/LLDPE/HDPE, PVC, PS, PC, PA, PP, EVA, PBT, PET, ABS, PTFE, TPU, HIPS, AS, PMMA, Engineering Polymer, Silicon, Rubber, Woodplastic, etc. The disc is made from graded material tested quality and dynamically balanced for smooth running. Inspection windows (2 nos.) Are provided on both side of mill body for visually checking the disk gap and assist the gap setting. Several options are available to simplify the cleaning process. Long service life of the discs between resharpenings. For mill body, bearing housing and mill door for better result. Bearing housing water cooled. And also using the imported SKF bearing on the main shaft, make sure the pulverizer durable and reliable. High efficeincy hopper magnet provide with the m/c. To detect the metallic inclusion parts from the polymer. Optionally, metal detector sensor will be provided on request. Our cyclonic system is well designed for easy cleaning. With bag filter (on request) arrangement. Pneumatic hopper loader will provide on request. 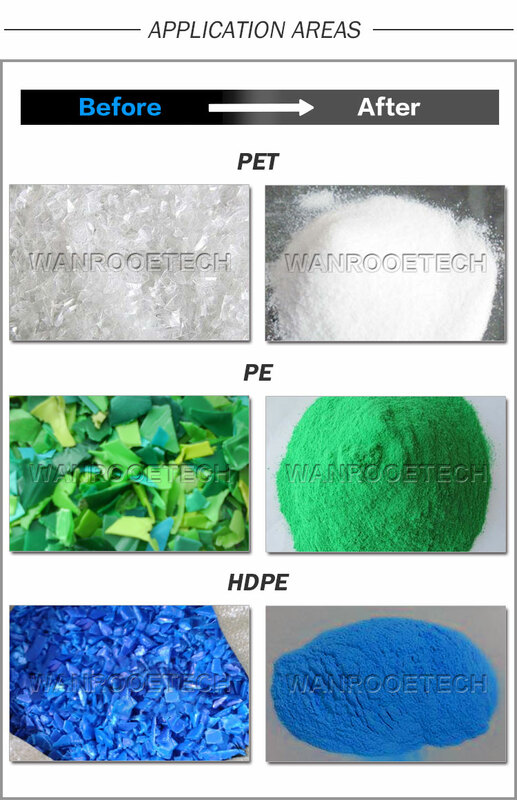 •Homogeneous material in case of colored powders. •Low energy consumption and high throughput. Notes: PNMF-500,PNMF-600,PNMF-800 model pulverizer frequency convertor can be configured as optional.The end plastic powdercapacity will be different becasue of the material status, and also the end powder size. Application Field:Plastic Recycling,Mastetbatch,Compounding,Blow Moulding,Injection Moulding,Extrusion Moulding.Engineering Plastic,Rotational Moulding and Many Others.